We love it. Love it. 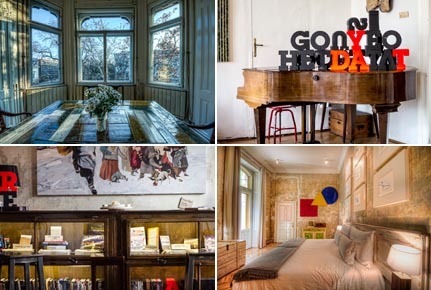 A beautiful, entirely Hungarian style apartment – from the floors, casting and bow window – established as a bourgeoisie-bohemian, truly inspired bed-and-breakfast. The furniture is flecked, paintings jazz up the room and the atmosphere promises an arty and cosy stay. You will want to curl up with a book on the sofa like at home, have breakfast in the lounge…plus, a passageway runs alongside the canopy, giving a chic light to the room, taking you far away from a disembodied hotel atmosphere and design. Rooms start at 70€.